I find this horrific, as Planned Parenthood is an amazing organization that uses that funding to provide education, cancer screening, STD tests, and birth control to millions of Americans. They are being attacked by anti-choice groups who desperately want to destroy Planned Parenthood solely because of the abortion services that the organization offers women. These anti-choice groups are are apparently willing to sacrifice the health and lives of everyone who needs the many other services that Planned Parenthood offers, just to make their statement about abortion. Whatever your personal beliefs about abortion are, denying women access to pap smears, breast exams, and other preventative care is completely unacceptable. Please realize that Planned Parenthood is about far more than just providing abortions. They provide the education and birth control (for those who would otherwise have no access to either) that prevent unintended pregnancies, thus negating the need for abortions. When I was in college, I volunteered for Planned Parenthood and worked in their prenatal clinic, assisting some amazing doctors and midwives. That's right - Planned Parenthood provides healthcare for women who are pregnant, and who are planning to carry those pregnancies to term and keep their babies! The women who receive this care are extremely poor, and often have no support system or come from abusive households. I saw homeless, pregnant, 16 year old girls come into the clinic, after having been beaten by their boyfriends. Planned Parenthood not only provides medical care for them during and after their pregnancies, but also employs social workers who work with these women to help them sign up for Medicaid, food stamps, etc. The anti-choice groups who are so adamant that every pregnant woman should have no option but to carry her pregnancy to term don't offer services like this. In fact, it seems like they don't care what happens to pregnant women or their babies, just as long as those babies are not aborted. But once a woman makes the choice to continue her pregnancy, anti-choice groups are no longer interested in the fetus's well-being, or whether its mother can obtain healthcare or afford to support it. In short, the House has just voted to take away basic healthcare from millions of Americans. Hopefully the Senate will reverse this decision, but the fact that this appalling attack on Planned Parenthood's funding even made it this far is terrifying. You can also sign Planned Parenthood's open letter to Congress here. 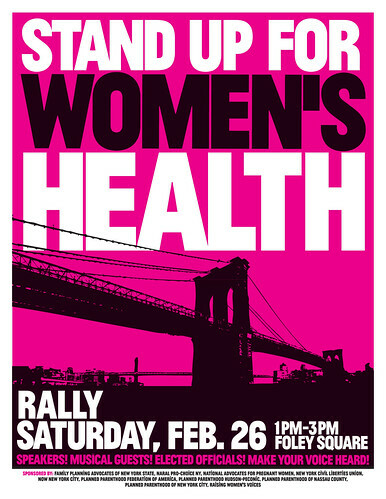 And most importantly, spread the word - to your friends who would be support this cause but just haven't been paying attention to the news lately, to people who may have differing views on abortion but are uneducated about all the other health services that Planned Parenthood offers, to everyone - because everyone needs affordable healthcare. Yeah, this is a great post. I read your blog all the time but don't comment because I don't eat out and I'm not really looking for veggie burgers...but I like to hear about your experiences and I enjoy reading your honest takes on things and this post still includes both those things. 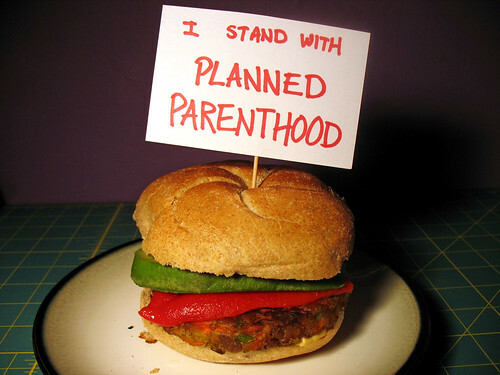 Virginia is for lovers... of veggie burgers?